I wanted to write a post and share my pregnancy and birth story. This will help lead into a future posts and connect the dots on previous posts. After Mr. Scents told me we could have children, I went back and really thought about what I wanted. I knew he was make this compromise and sacrifice for me, I wanted to be sure it was still what I wanted and felt I needed out of life. All of my soul-searching told me it was; thus we made it so (Star Trek TNG reference). By trying, I really mean that we just stopped preventing. I did read up on ovulation and all that stuff but I knew the more I stressed the longer it could take. Plus, making the decision to try to get pregnant makes it very real and scary from the moment you stop taking your pill. The next morning I took a test and it was positive, “Thank you Tom Hiddleston.” Side note: if I ever meet him I plan on telling him this story, along with the true fact that Mr. Scents still teases me that the boys aren’t his. That was January 10th. I made my first appointment at the OB and they did a viability and dating ultrasound on January 31st, at 7 weeks. 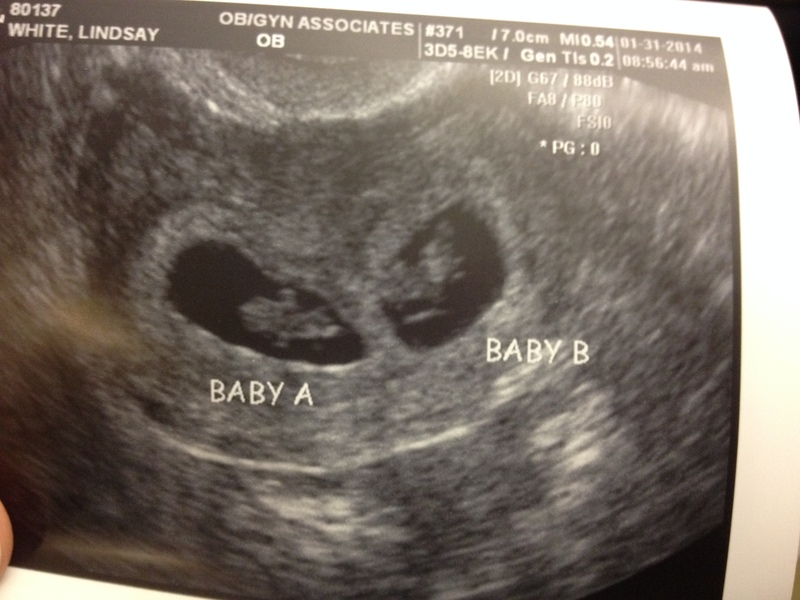 During that ultrasound they told me that I was pregnant with twins. I was given a book on multiples pregnancies and sent on my merry way. I was in shock. I don’t think I really talked after the ultrasound technician told me two babies. It wasn’t until later that night that I really reacted, by freaking out. I started reading the book they gave me and it created more questions. Should I find a neonatal specialist OB or would my current OB be fine? What supplements should I take? I called my mom in hysterics asking her to move in with us to be our nanny. Smart lady, she turned me down. Next, I contacted the department of Maternal Fetal Medicine at the hospital where I’d be delivering. They assured me that my current OB was equipped to guide me and has a reputation for seeking a specialist should it be needed. That set my mind at ease. It helped that my babies didn’t share a sac or placenta. Those types of twins have higher complication rates. As it was, the complications that could still affect my pregnancy were, for the most part, outside of my control. Preeclampsia, gestational diabetes, edema, preterm labor, etc are all things that could potentially be in store for me. All I could control was making sure I did the things they recommend for all pregnant women. Drink enough water, eat healthy, take my vitamins, and stay active were all things that I continued to make a priority. Everything was going great. My blood pressure at every visit was well within the normal range, I wasn’t gaining weight too fast, and since I was having twins I got to see the babies at every appointment. At 20 weeks we had the anatomy screening ultrasound and found out we were having two boys that were growing on pace and healthy. I was thankful for boys. I’m not very girly and if I had two girls, or one for that matter, I would be lost if they liked pink. A short 8 weeks later everything changed. While Mr. Scents was out of state visiting his grandfather who was in the end stages of colon cancer, I went in for my 28 week appointment. At this appointment they do the gestational diabetes test. That was my worry, that I’d have GD. Little did I know that I would pass that with flying colors but have a different worry. After drawing blood the nurse took my blood pressure and it was elevated so, they had me give a urine sample. That showed some trace proteins. These are the first indicators of preeclampsia. I was sent over to Labor and Delivery to have serial blood pressure readings and consult with the doctors there. After an hour of monitoring my babies and seeing no decrease in blood pressure I was admitted to the hospital. They gave me a steroid shot to help develop my babies’ lungs and brain because they were concerned that I would have to deliver early. My doctor was telling me that she didn’t think I would make it past the weekend. After I was admitted to the hospital and I call Mr. Scents and he found a way to get home a day sooner than planned. He was an amazing support system. He stayed with me the entire time I was admitted (1 week), and continued to help care for me and keep me calm. I was in the hospital a week when the MFM and my OB determined that while it was preeclampsia it was mild so far and I could be released as long as I monitored my blood pressure at home, came in twice a week for monitoring, and came back if my home readings were over the threshold they gave me. I eagerly agreed. The good thing was that I stayed in this holding pattern until I was 37 weeks before I finally reached a critical point that required me to be induced. The biggest thing I struggled with was taking it easy and worrying that I had caused this. I had tremendous guilt. I directed my energy into finding ways to help my boys if they were born premature. When I was 37 weeks I took my pressures at home and they were really high, 165/100 high. So I had Mr. Scents bring me in. I was admitted and induced. 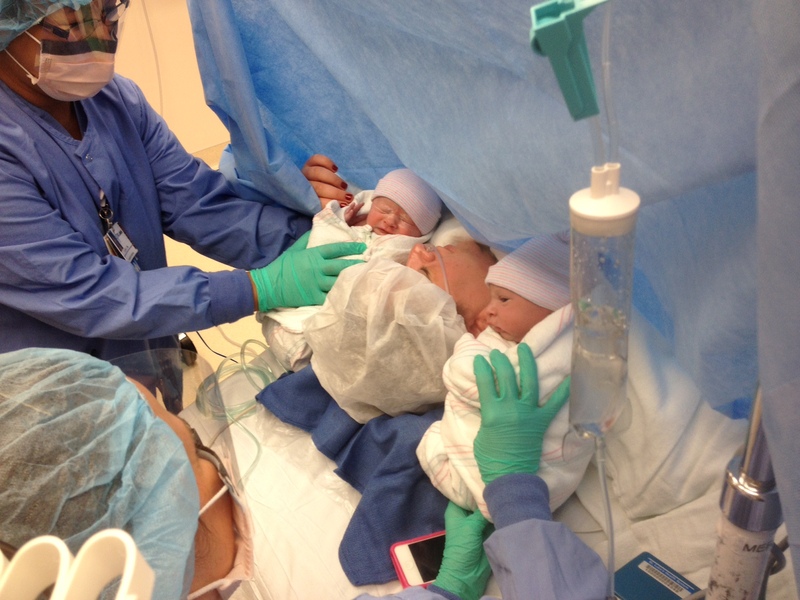 I labored for almost 24 hours, 6 of them being at 9.5 cm before the doctors suggested I have a c-section. At that point I just wanted to be done. The stress of the pregnancy, have to now try to change my thinking that it was OK for the boys to be born, was a lot for me. Plus, when you’re pregnant with twins you know that natural delivery isn’t always safest. 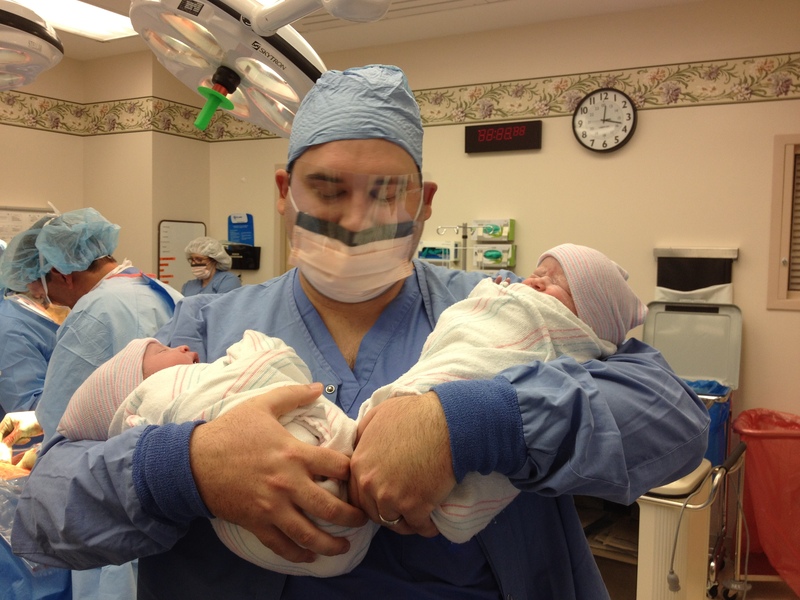 The boys were both delivered in late August at 12:10am. Shortly after delivery I asked the nurse about the contractions I was still feeling. The brief look of panic on her face made her comment of, “You shouldn’t still be feeling contractions,” unnecessary. She went and grabbed my doctor and they worked to take care of my post-operative hemorrhage. This can happen with any pregnancy but my chance was increased because of the twins because I was on pitocin, to induce labor, for 24 hours. My blood pressure dropped to 30/15. I’ve never passed out before but I wanted to.